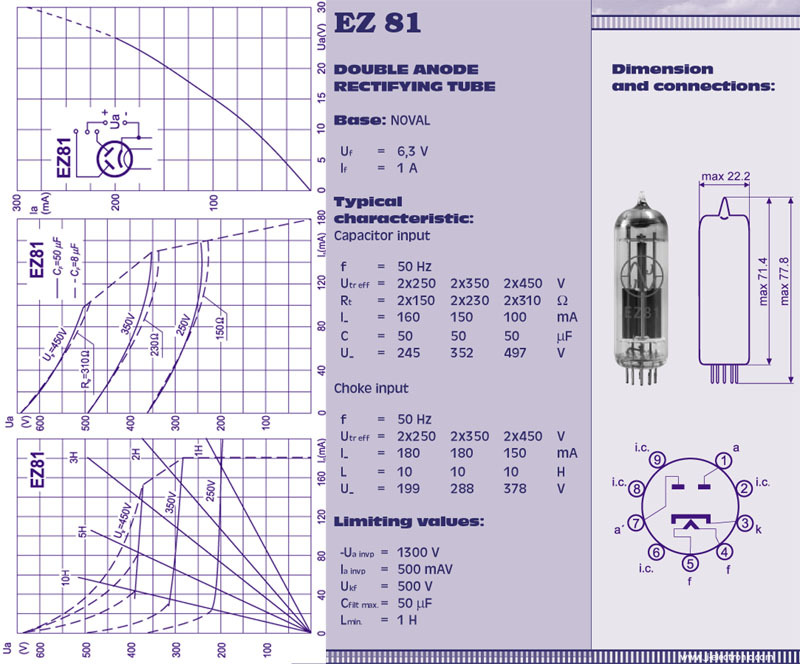 The JJ EZ81 is is a great rectifier tube for the little 20 watt Marshall's or any other small guitar or Hifi amp that uses a 6CA4. The same great JJ quality that we are all used to. All EZ81's are tested for forward/reverse voltages and cathode emission. The JJ EZ81 is a modern production replacement for all classic EZ81/6CA4 rectifier applications. The JJ is a proper indirectly heated recreation that has the correct voltage output and feel. If you're used to using the Sovtek and Chinese variants you'll be pleasantly surprised. These tubes are rated for a maximum reservoir capacitance of 50uF. This can be exceeded under the correct conditions. However if great care is not taken, exceeding this rating will greatly shorten the tubes life. If you're swapping rectifier tubes of like types the bias will not need be adjusted. If you're substituting dissimilar rectifier tubes the bias should be checked and adjusted as necessary (excepted as noted in our Retube kits).